The PX 90 headphones from Sennheiser provide high-quality audio in an exceptionally lightweight package. 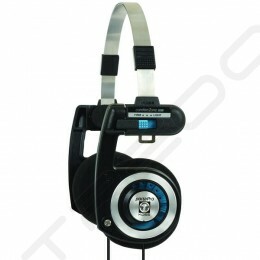 The headphones have specially-designed dynamic transducers that provide clear, natural audio with a wide frequency response without adding bulk or the need for batteries. The open-back design allows air to flow through for more realistic audio reproduction. The adjustable steel headband provides a snug and comfortable fit, as well as lasting durability. The on-ear pads provide a soft feel so you can listen for hours. The ultra-light and sleek PX 90 mini-headphones give you strong bass while still being light enough to wear comfortably for hours on end. Their sleek steel headband is not only durable but also highly flexible, giving you an easy fit. The headphones have a standard 3.5mm plug to provide wide compatibility with a variety of MP3 players, CD players, laptops, and more.